let's start with a highly underrated novel 'The Seawolf' by Jack London, another great read of the 'Culture' series by Iain M. Banks, 'Matter'. If you're into scifi check it out! A not so well known work by Jules Verne on polar exploration, very detailed, sometimes lengthy in navigational aspects. 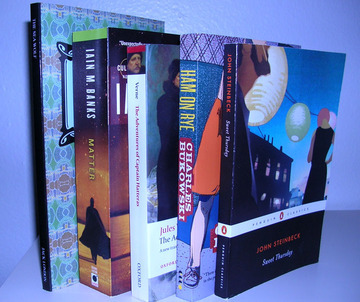 The great american writer Charles Bukowski with 'Ham on Rye' is on the list as well as my favorite John Steinbeck with 'Sweet Thursday'. best m&m's? Best effing m&m's! 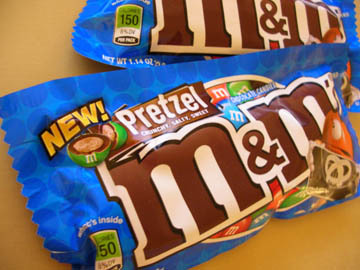 So they came out with these Pretzel m&m's - one of the greater conceptions of confectionary, ahaha. Go ahead and get a pack today! It's the first day this year we've been hitting 100 ºF here in Tempe with the temperature going up to 104 ºF (that's exactly 40 ºC). 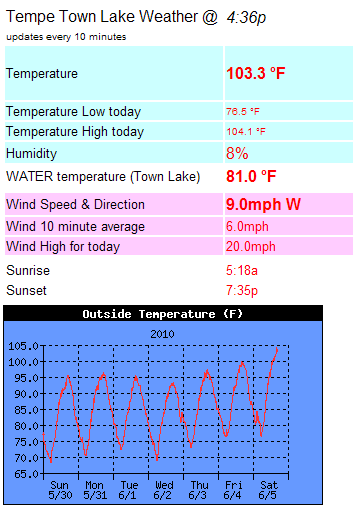 Also, note the temperature of the town lake of 81 ºF, haha. The first triple digit day was recorded on May 8, 2009. The data is acquired at the west end of Tempe Town Lake.